If you have any additional questions, please contact Deena Crawley with McKee Wallwork Cleveland at 888.821.2999 or dcrawley@mwcmail.com. 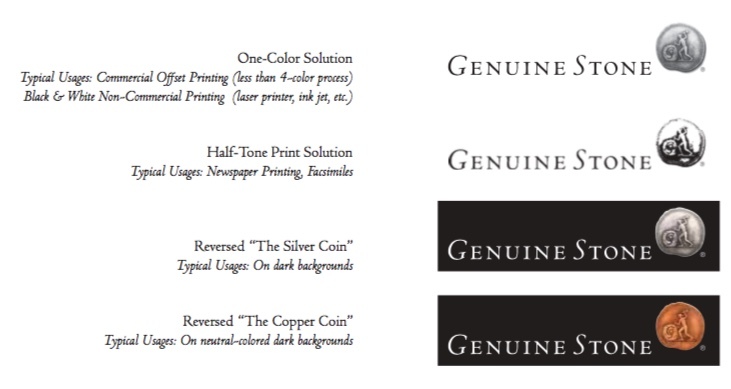 Genuine Stone and the Coin Logo are registered trademarks of the Natural Stone Council. They can be used separately or together. When used together, the combination is referred to as the “Genuine Stone Logo”. This identity system was developed to create a distinct and consistent visual image for Genuine Stone® . Careful use of the Genuine Stone® Logo and other elements of the visual system help unify and establish a strong brand. This document covers rules to follow for those responsible for implementation of the identity system. It describes best use of the Genuine Stone® Logo, colors and elements. A strong brand carries many advantages. If a brand name has strong positive associations – such as superior quality, inclusivity and noble aspirations – consumers will be predisposed towards services carrying that brand name. As a result, a strong brand can help an entity reach its goals, as well as withstand the ups and downs of the market. Creating a strong brand requires a clear, simple and unified approach. This is accomplished by: A common look – One identity and design system Unified messages – Clear positioning and value propositions Being brand ambassadors – Reinforcing brand initiatives through consistent use of the Genuine Stone® Logo. The Genuine Stone® Logo comes in four distinct colors. Each color was chosen to complement material colors that can be found in typical residential and commercial interiors. When selecting the appropriate option be sure to review the color palette of your particular usage (i.e. business card, letterhead, power point presentation, etc.). When the palette is of a neutral value (i.e. black & white, grays, earth-tones), any of the four options are appropriate. If the palette is not of a neutral value, use “The Silver Coin” or “The Steel Coin”. While utilizing one of the four color options is the preferred method, there will be times when they will not be the most appropriate solution. These instances would include such usages as printing to a lower-quality output device (i.e. Newsprint, Facsimile), single-color or black and white printing or against a dark-colored background. The Genuine Stone® Logo is versatile in that it can be used in various orientations and still carry the weight of the brand initiative. Each of the previously mentioned logos is available in a variety of file-format types on the Genuine Stone® Logo CD-ROM. 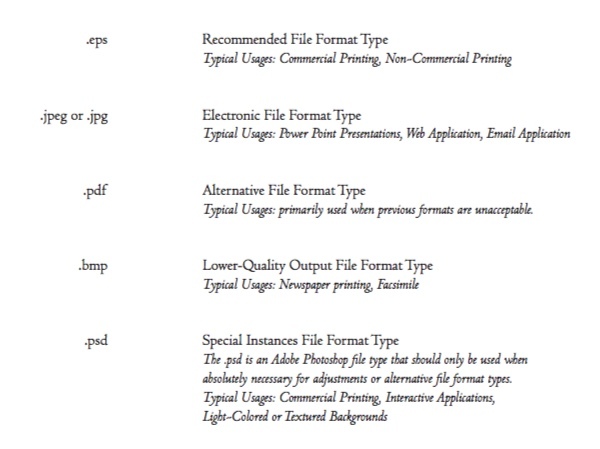 Below you will find a description of the file types (listed by the file extension) and their most appropriate usages. 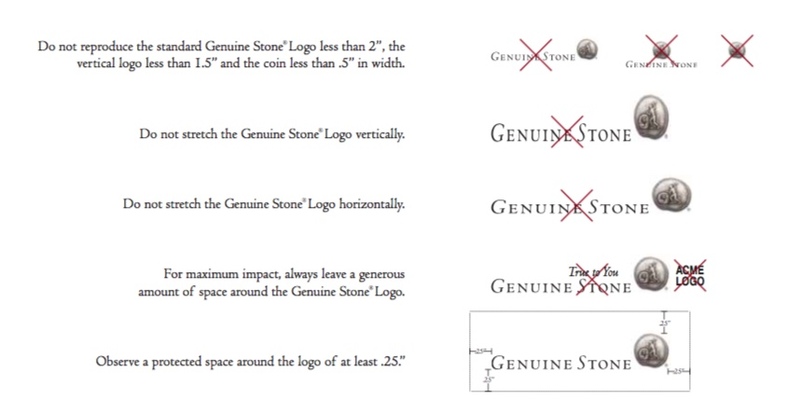 In order to maintain the essence of Genuine Stone’s logo, it is important to apply the logo precisely and consistently. Always use the of cial artwork when reproducing the logo. 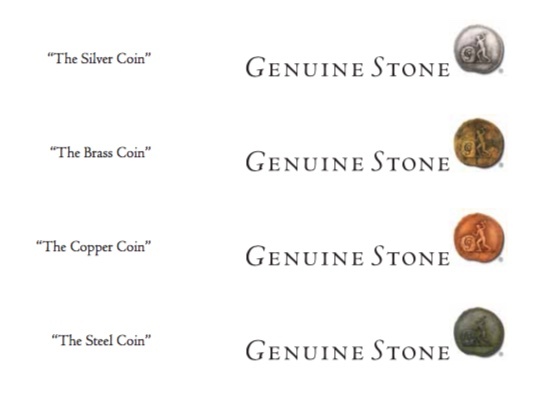 Currently, each of the Genuine Stone® Logo formats includes a registered trademark ® next to the coin. However, there will be times when the name “Genuine Stone® ” will be used inside a text document and it will be necessary to apply a superscript (reduced and elevated) registered trademark ® to the name. Additionally, if a registered trademark ® needs to be applied to the Coin please follow the appropriate directions below to ensure consistency. Find out more about the Genuine Stone® Initiative.